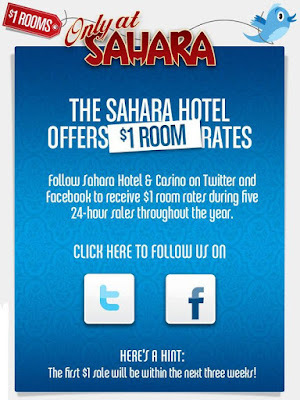 Sahara will be offering $1 rooms to their Facebook and Twitter followers. During five 24 hour sales throughout the year followers will receive special booking codes to take advantage of the dollar rate. It doesn't really say how many rooms will be given away during the 24 hour periods. I assume there has to be some kind of limit or else they would get thousands of people booking for a dollar, which can't be good for business. Or maybe there's some kind of catch like you get a room for a dollar but have to book another night at full price. 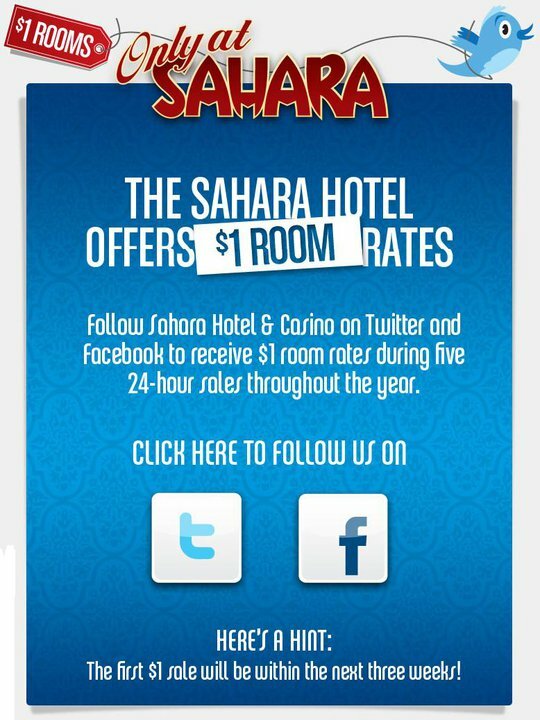 Either way $1 rooms sound like a good deal, and it's good to see a struggling property like Sahara get creative with their marketing like this.